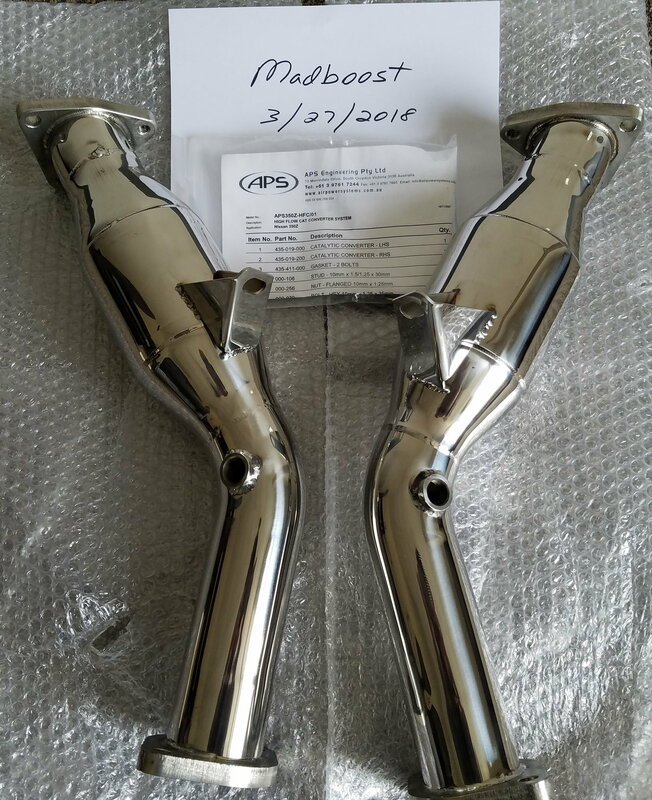 Brand new APS 2.5" 304 polished stainless steel high flow cats (200cpi) for VQ35DE 350z/G35 coupe. 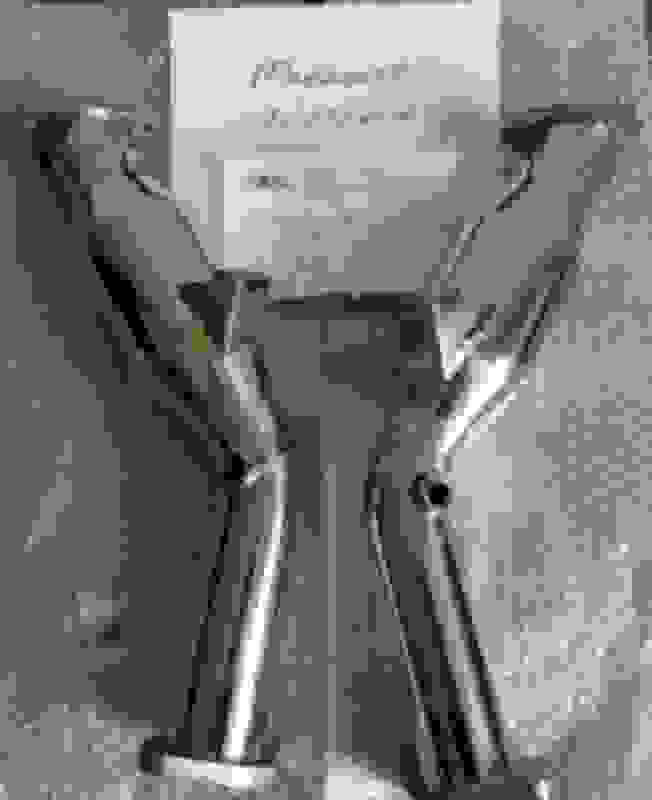 Includes necessary hardware and rear gaskets. Located in Charlotte for pickup or will ship in the continental 48. $275 + shipping. Message me if interested. Curious, the 02s are on the bottom of the headers. Do you have to install a second set or do you just plug them. Im a few hours from you and interested. There is an o2 sensor on the header and another just after the catalytic convertor. You can plug the rear o2 bung but that would mean you are missing your rear o2's. Last edited by MadBoost; 04-01-2018 at 08:55 PM. I bought one of his 2 sets of cats and they work great. A+ seller as well! Am I to understand that there are two identical new sets of HFCs and not just the one set that is depicted here (and apparently sold)?